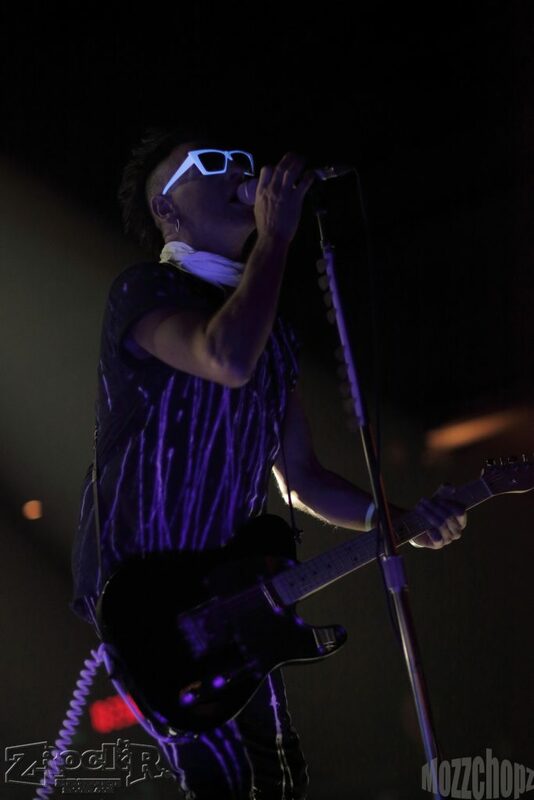 Home›Features›Daniel Ash Brings Poptone to Brooklyn Bowl Las Vegas! While I was excited for the actual show- Poptone; I was equally worked up at the opportunity to interview Daniel Ash. This is someone who definitely had a hand in shaping the darker side of rock n roll that we know today with his work in Bauhaus, Love and Rockets, and Tones on Tail. We got to the venue a bit earlier than we needed to, but as always, the staff was friendly and allowed us to hang out while we waited for our time with Mr. Ash. After he had the chance to collect himself and put his stuff down, he joined us over in the corner by the restaurant, where it was quiet enough to hear each other. It was really awesome to sit down and not have so much of a question and answer, but really a good conversation. 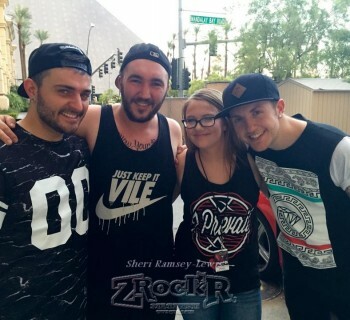 ZR: When is the last time that you played Vegas, and how excited are you for tonight? Ash: I have no idea when we last played Vegas to be honest. The last time I was spinning at the Golden Tiki. The last time I played in a band though, I don't know. This is the second night of the tour though. The first was in Tempe, Arizona. ZR: How was the first night? Ash: It was good! Considering it was the first night. It's weird... I haven't done this in 8-9 years, and I didn't think I would do it again. I had this thing a few months ago where I woke up; I had fallen asleep to Brian Eno, and at 4 a.m. I woke up sober and it was Motorhead's "Ace of Spades". So, I got this thing in my head that just told me to go out and play in a band again. I had no intentions of doing that. I thought about it for a few days, and figured "Okay, I can do this." And here I am! ZR: You got the itch for it! Ash: Yeah. It seemed like the logical thing to do. It's tough getting work with film and TV, and I am doing the DJ thing, but it's hit and miss. I'm just a jukebox. I play my favorite songs and get paid, which is fine. ZR: So, how has it been reuniting with Kevin? Ash: It's been great. It's like riding a bicycle. Kevin was the obvious choice because he was in the three bands, and the weirdest thing is his daughter is on bass. I mean, we auditioned a few people, but they had to know the bass lines, and she got it right. Who would've thought? And I got her her first bass! I gave her a Fernandes, because they used to sponsor me, and she got her first bass at 13 years old. All these years later she's playing bass in this band. It's great. ZR: So, it's kind of come full circle. Ash: Yeah! It's so surreal. It was crazy how it happened because Kevin asked me, "What about Diva on bass?" Because the first thing I said to Kevin, since he had wanted me to do this for a while, I texted him and said, "Who's going to play bass?" and he suggested Diva, and I thought it would be fantastic because I love how she looks. She's not your typical rock chick. Quite the opposite. I thought if she can play as well, it would be a dream, and it has worked out so far. We are on the road on and off until November. So, it's very civilized. Not like the old days where you tour for 30-40 days. ZR: I am sure it would weigh you down. Ash: Well, of course, since I am umm years old, haha! I can't be doing 40 gigs in a row anymore. We'll see what happens, but it's fun! I feel 20-30 years younger doing this. I thought the DJ thing would be easier on your body, but it's not. It's the opposite. When you DJ, you drink before the gig, at least I do because I get nervous. Then you drink during the gig because it's a part of the whole thing. Then you drink after the gig. At this point, bassist Diva ended up joining us. Ash: Speak of the Devil! We were just talking about you! I was just telling them about how I got you your first bass at 13, and now here you are! Diva: Yeah, it's been pretty magical. ZR: So, how has it been for you, even though you've only had a couple gigs so far? Diva: We did two warm up shows that were smaller, and last night was our official first one. Ash: Yeah, the two LA gigs really helped us out, and it helped financially too since we don't have a label behind this. Doing everything yourself these days really has pluses and minuses, but mostly pluses. Someone asked the other day if I had advice for someone starting out, and I said, first of all, get the best song out that you possibly have. Get it recorded, and toss the video up on YouTube and see what happens. ZR: How do you feel about the state of music? Ash: With the industry, it's completely different. Before, you would make the album, go on the road to get people to buy the album, and now the album is a giveaway to advertise the gig. Bands don't make money anymore off of the label. They make it off of the gig and the merchandise. That's part of the reason I am doing this. It's like, hang on a minute, why are you struggling? Ash: You can't. You can't physically do this if you aren't into it. 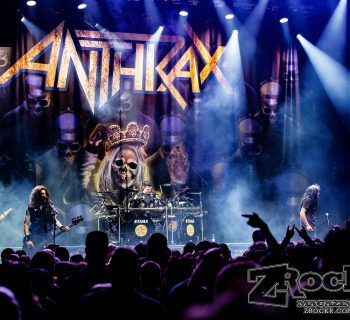 You get the shot of adrenaline on stage. I'm definitely not faking it. None of us are. We're all into it. ZR: A lot of people are going to see a lot of bands from the past too. Ash: Absolutely. The penny one night just dropped for me. It's a subconscious thing going on with everyone. It's very strange, and it's overwhelming. I got high off of the idea. I'd never dream of even seeing a band. There's only a few people I've seen in my life. The last band I saw was Prince in 1989 because someone gave me a free ticket, haha. ZR: Wow! Well, how was the show? Ash: It was really great! Fabulous! 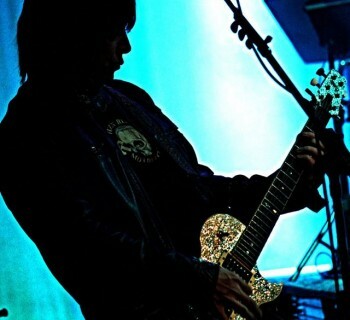 The way he played guitar was great. No one talks about his guitar playing, and he is right up there with Hendrix. I have seen a couple of shows. I saw Roxy Music when I was 15. I saw Bowie in the Thin White Duke era. Iggy Pop. Lou Reed. The Cramps. Alice Cooper. Maybe 20 gigs my entire life. Which is hilarious, isn't it? I know Kevin goes to see gigs all the time though. Even Diva and I were talking about it the other day, and she was saying she goes to see her friends play, but not really bands. ZR: That's just as important though! Diva: I live in Los Angeles, and I love when I go out to see local bands, because we have a great underground scene. I have a three year old though, so it's hard to get out, but I got out this time! Ash: I got her out of the house! ESCAPE! ZR: How do you feel about everyone coming out to see you time and time again? You have a great fan base! Ash: I'm really flattered and surprised and excited about the fact that people still want to see us. It's amazing. The sales on this tour have been very healthy, so I am really excited about that. Diva: Usually every night after the show, people come around and find us and they are so appreciative and happy. Opening band Nostalghia hit the Brooklyn Bowl stage at 9:00 p.m. sharp. Comprised of 4 members, they carry a sound that resembles a cross of the slower Sisters of Mercy with Siouxsie Sioux vocals, they quickly set the tone for an evening that any self proclaimed goth can appreciate. Vocalist Ciscandra Nostalghia stood in front of the crowd, moving like water in her spot. Her voice, which is haunting and mesmerizing, carried over the venue like a siren calling her pray to the front of the stage. After 3 songs, she simply said “Thank you” before the synthezier opened the next song. Every song was more haunting than the one before, keeping me hooked and not wanting to take my eyes off. After a couple more songs, they went into the most beautiful cover of “Wicked Game” by Chris Issak I have ever heard in my life. (Vocalist) cooed every word in what can only be described as pure raw emotion. I can always appreciate it when a band takes another​ artist's work and turn it into their own, and they did it so powerfully that I bet it would bring HIM (who also covered it) to tears. The crowd was small, but Nostalghia was well received, and this band is one that will definitely grow among the underground scene. 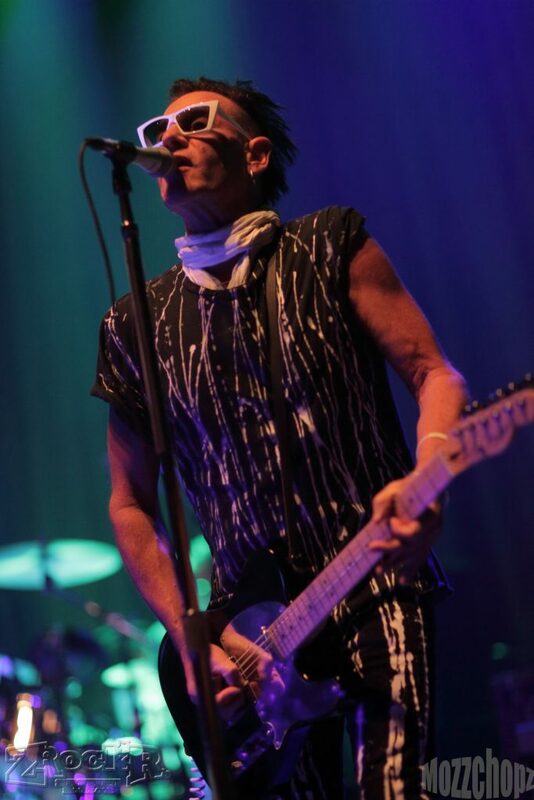 The three piece, consisting of Daniel Ash on guitar, Kevin Haskins on drums, and Diva Dompe on bass, walked on to the Brooklyn Bowl stage, in glow paint splattered clothing. The lights were dim for the show, but the band glowed under the black light. The band opened up with a cover of Elvis' "Heartbreak Hotel", which sent the crowd into a frenzy. They followed it up with "OK, This Is the Pops", a Tones on Tail classic. Even though the crowd wasn't as large as I'd expected, they literally knew every word to every song, which was pretty cool. 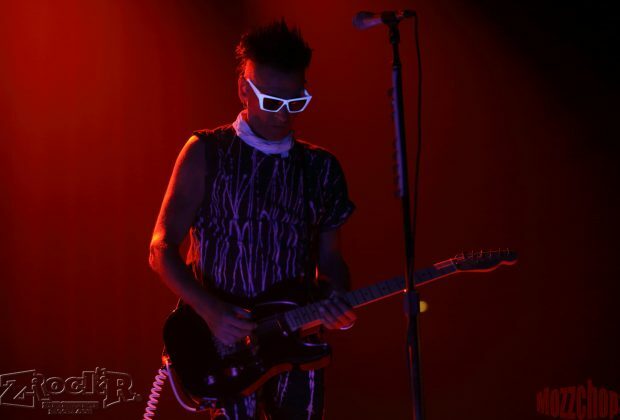 The Poptone set consisted of a lot of Tones on Tail material with some Love and Rockets peppered in to the set. It was slightly disappointing that there was only one Bauhaus song during the set, but it was made up for with a cover of "Physical (You're So)" by Adam Ant! For anyone who is a fan of Ash's work, Poptone brings a little bit of everything to the table. It was a pleasure getting not only to speak with him, but see the show as well. I look forward to the next go-around!